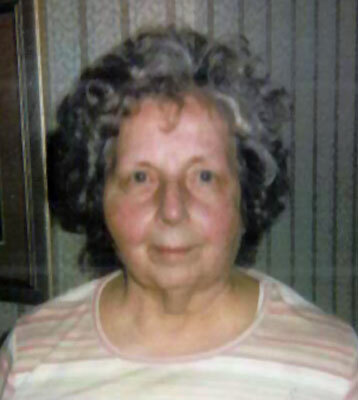 POLAND – Marilyn Joan Allshouse, 84, died Thursday, Oct. 9, 2013, at Sunrise Assisted Living. Marilyn was born July 28, 1929, in Youngstown, a daughter of Dan and Lillian Giles Maggianetti. A 1947 graduate of South High School, Marilyn worked as an operator for Ohio Bell Company and later ATT. She was a member of the Disciple Christian Church in Boardman, where she was a member of the Tuesday Group. Marilyn enjoyed traveling and cruising with her husband John. Her husband, John H. Allshouse, whom she married June 7, 1951, died Feb. 17, 2002. She is survived by her son, Daniel Allshouse and his girlfriend, Sally Jo Bendetta of Youngstown; and one brother, Robert (Cheryl) Maggianetti of Chandler, Ariz. Besides her parents and husband, Marilyn was preceded in death by her son, John C. Allshouse; and an infant sister. Funeral services will be held Monday at 1:30 p.m. at the Davis-Becker Funeral Home, Boardman with the Rev. Ken Hopkins officiating. Interment will follow at Greenhaven Memorial Gardens, Canfield. Family and friends will be received Monday from noon to 1:15 p.m. at the funeral home. Please share your memories of Marilyn Joan.